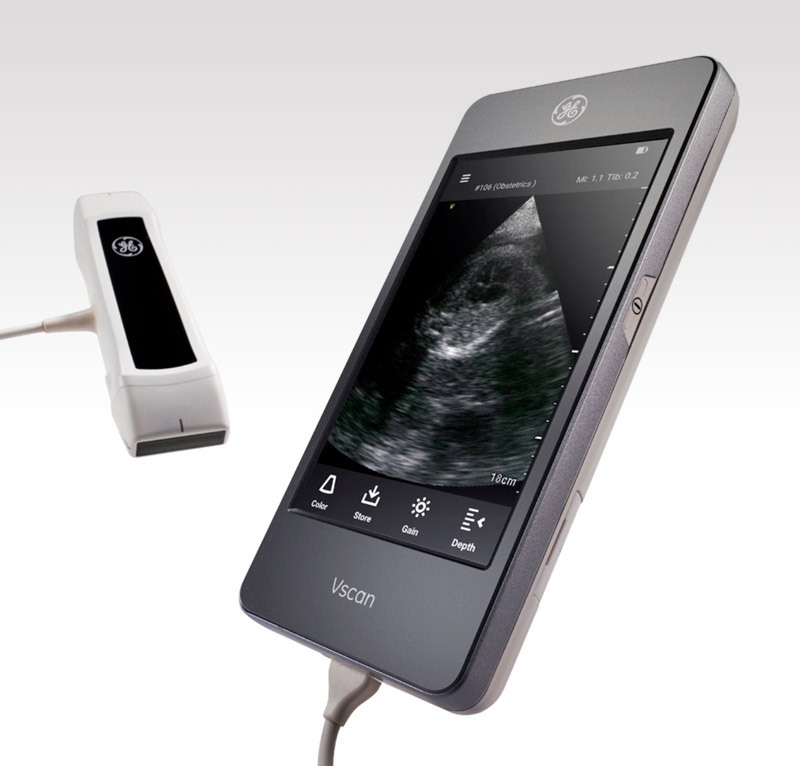 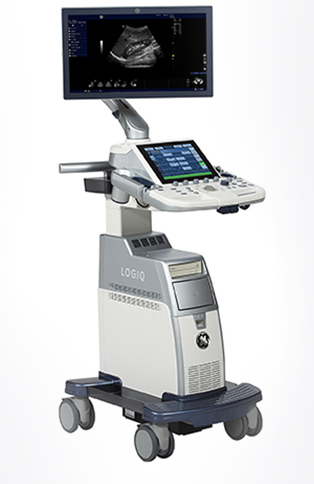 The refurbished GE Logiq V5 ultrasound machine is designed as an economical multipurpose ultrasound system for offices, hospitals and clinics. 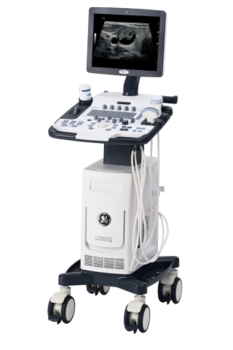 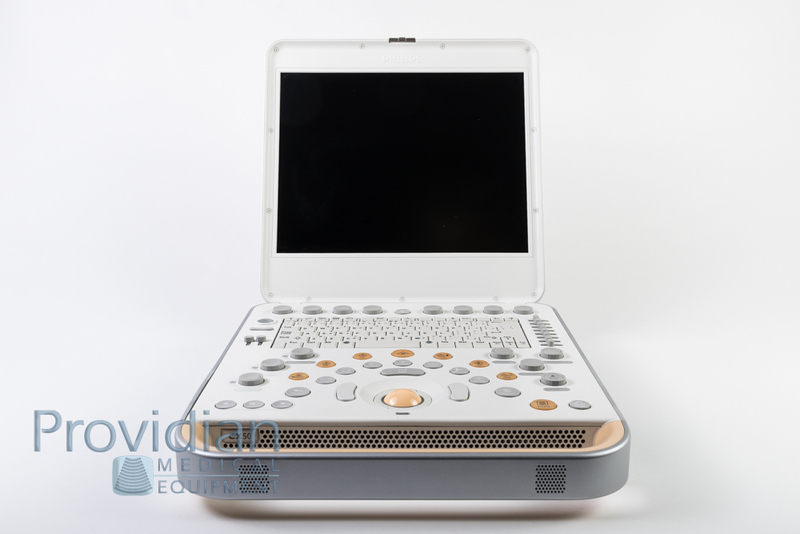 In the US, the GE Logiq V5 was released primarily for the urology market as a value-priced ultrasound machine that provides great image quality and versatility for urologists. 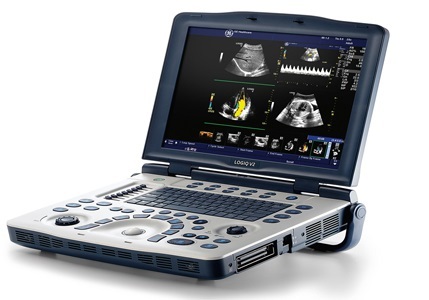 A used Logiq V5 offers nice technologies at a value price. 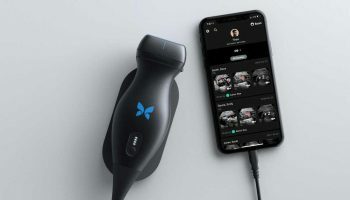 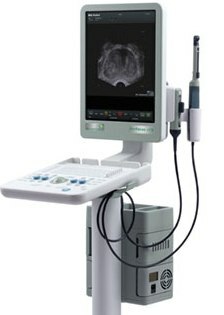 It includes a 19″ monitor, harmonics, speckle reduction imaging, compound imaging, Scan Assistant, Auto Optimization, and EMR connectivity. 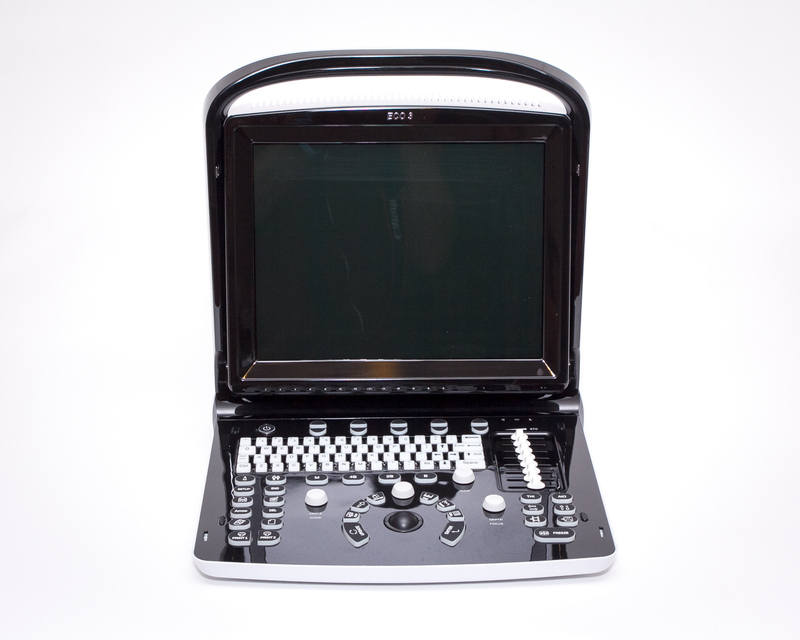 Internationally the V5 is marketed as a shared service machine that provides value for smaller budgets or lesser needs. 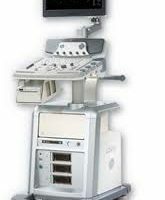 Although this is a urology unit, a bi-plane probe was not offered when the system was released. 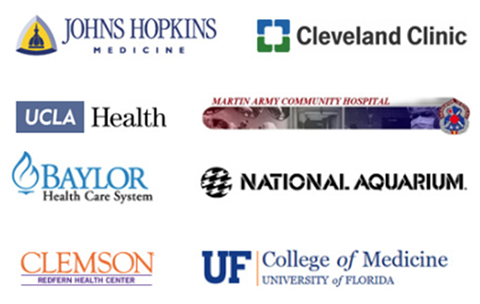 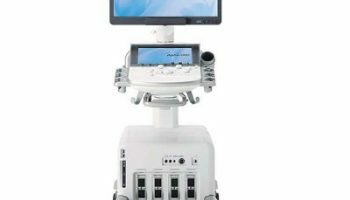 Regardless, this is likely to be a popular urology market as GE’s Logiq series systems are well-known for providing great image quality at a great price. 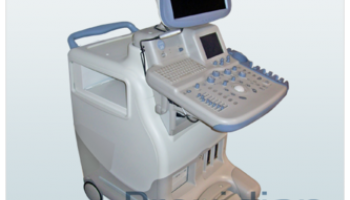 Dimensions 95 lbs, 53" x 18" x 28"
Q: What is Scan Assistant on the refurbished GE Logiq V5? 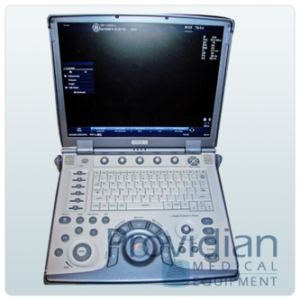 A: Scan Assistant uses protocols to guide the technician through an exam, improving exam efficiency and reducing errors. 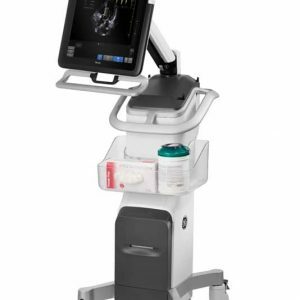 A: This is GE's version of compound imaging technology, which uses multiple lines of sight at various angles. 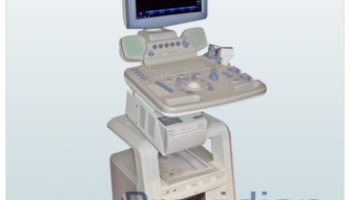 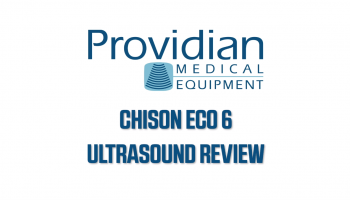 Traditional ultrasound technology uses a single line of sight. 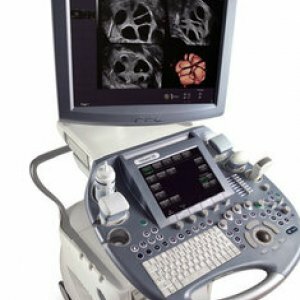 Compound imaging improves image resolution and reduces artifact by viewing tissue from multiple angles. 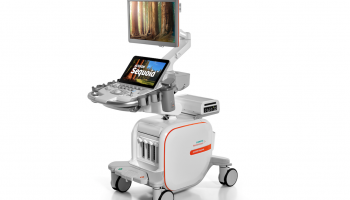 A: SRI on the GE Logiq V5 refurbished portable ultrasound is GE's speckle reduction imaging technology, which uses software to decrease speckle (artifact) in images while improving tissue resolution and definition. 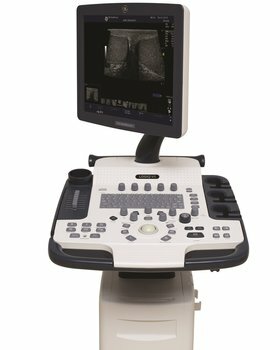 A: This is a software option that automates measurements for intima-media thickness, which increases efficiency in carotid exams. 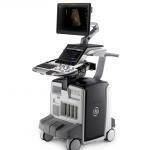 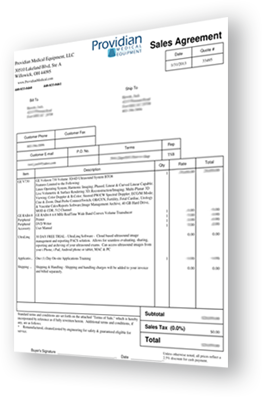 I want a free price quote on the GE Logiq V5, send it today!